Sunday, the city of Cleveland was filled with excitement after we won the 2016 NBA Championship after 52 Years. To celebrate, we had the biggest parade that I have ever been to! 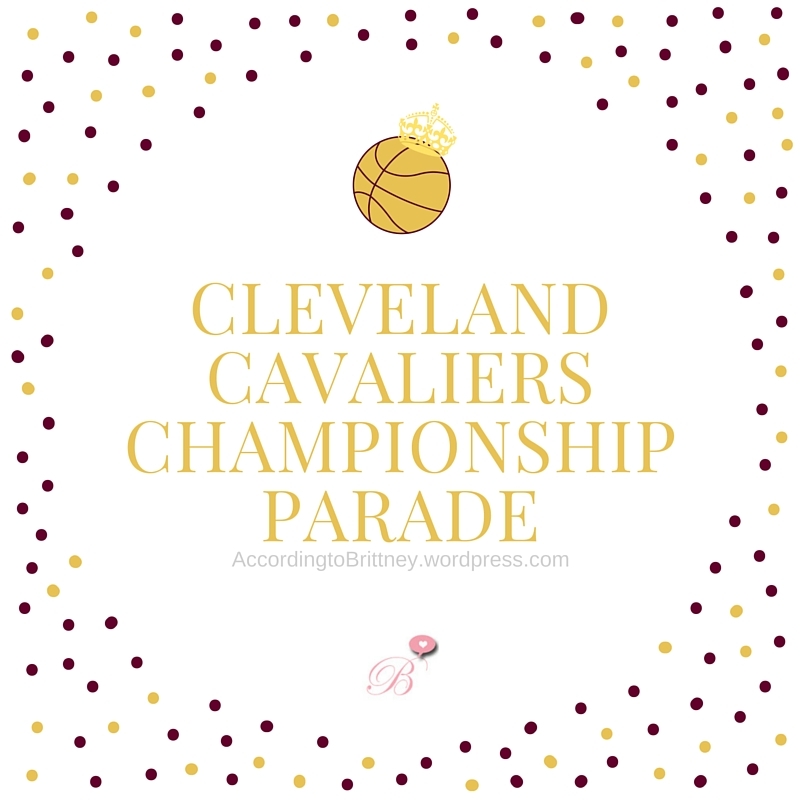 1.3 million people crowded the streets of Downtown Cleveland to cheer on the Cleveland Cavaliers for their win. Now, anyone who knows me, knows I’m not really a sports person. I don’t watch the games (unless I’m forced), I don’t keep track of the scores (until recently), and I don’t even own Cavs merch. But, to see Cleveland come together and celebrate like this was amazing, even for a non sports person like me. Luckily, my boyfriend and I live in Ohio City. So, we had the luxury of just walking from home to the parade. We and my friend, stationed ourselves on the corner of superior and E 9th. From there, we watched as people stood on top of buildings, signs, and bus stops to get a good view of the upcoming parade. This parade was 61 floats long! There were confetti trucks blasting wine and gold confetti through the streets, there was a tv truck that played images of the championship game, but the most exciting part was seeing the players that made it all happen! We didn’t make it to the rally, mostly due to being tired, sunburned, and ready to go home. But here’s some photos of the fun!